First built as a railroad hotel to support the bustling town of Columbia, the Inn experienced a variety of changes since its inception in 1903. Even though there have been variety of tavern owners throughout the years, the common theme remained as one of hospitality and congeniality for all. Since just after the turn of the twentieth century, this location has welcomed guests with the promise of a satisfying meal, first-rate drinks, lively company, and the offer of a warm, clean place to a get good night's sleep. 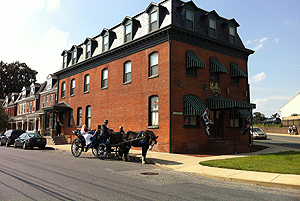 The current Innkeepers have worked hard to insure the ultimate in comfort and satisfaction at the newly remodeled Inn. After nearly three years of renovations, the Inn now offers 11 well-appointed guest rooms, all with private tiled bathrooms. These fine rooms feature such diverse details as high ceilings, exposed brick walls, hammered tin ceilings, and a wealth of architectural molding. Visitors to the Inn will appreciate the insight and quality of work which was painstakingly completed in order to restore and renovate this historic treasure. Along with Bully's restaurant discounts and Continental breakfasts, our services also include Get-a-Way weekend specials, Wedding packages, and short or long term Business accommodation packages. Thus, whatever the occasion, a short or long vacation, special event, or a business trip, consider us when planning your next excursion. For additional details and information, please tour the rest of the site to explore what we have to offer. In the autumn of 2010, Dave and Sherry were honored by the Historic Preservation Trust of Lancaster County who awarded them the C. Emlen Urban Award for Preservation, in recognition of exterior renovations to the facade. 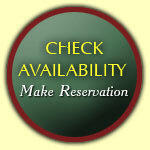 Private Events available for Lunch and Sundays by Reservation Only.